March comes in like a lion and goes out like a lamb. At least, that's the plan! We are introducing our kids to a unit study on weather. These lion and lamb puppets are the perfect prop for this theme! 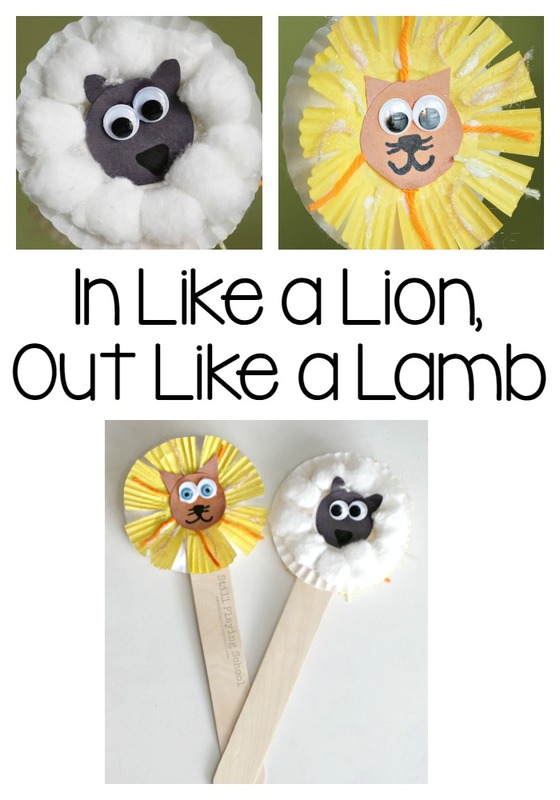 Our lion and lamb puppets are easy to make using craft items you probably already have at home or in your classroom. 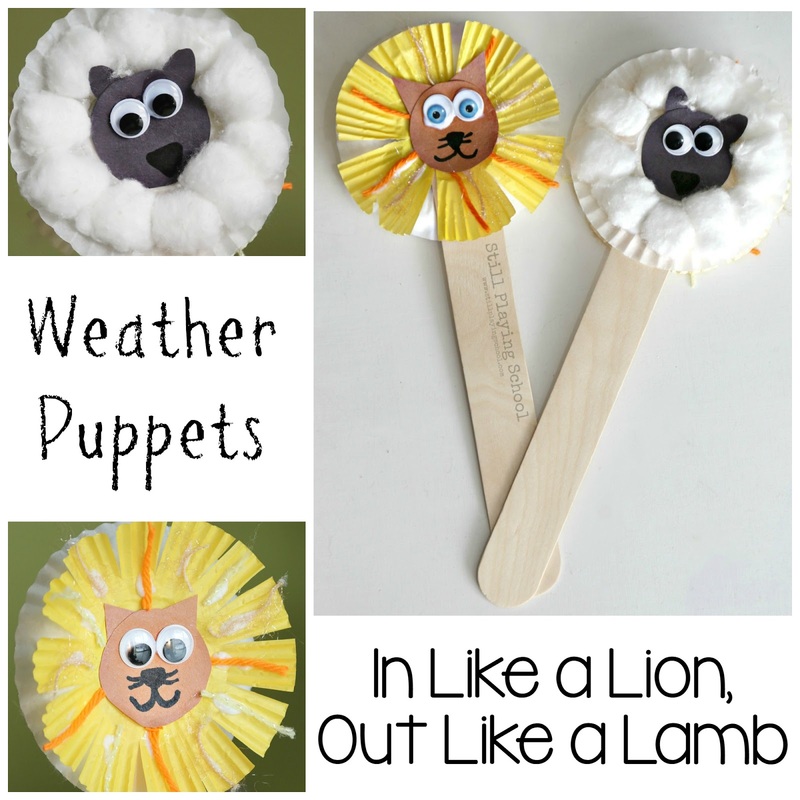 You might want to make a pair for the class to take turns using during circle time as you discuss weather. 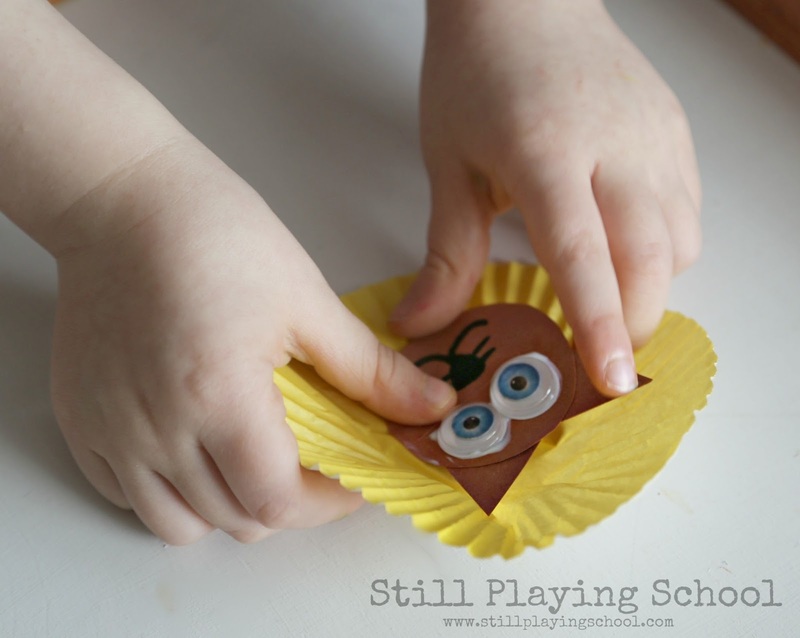 You could also allow each child to make their own version to take home. 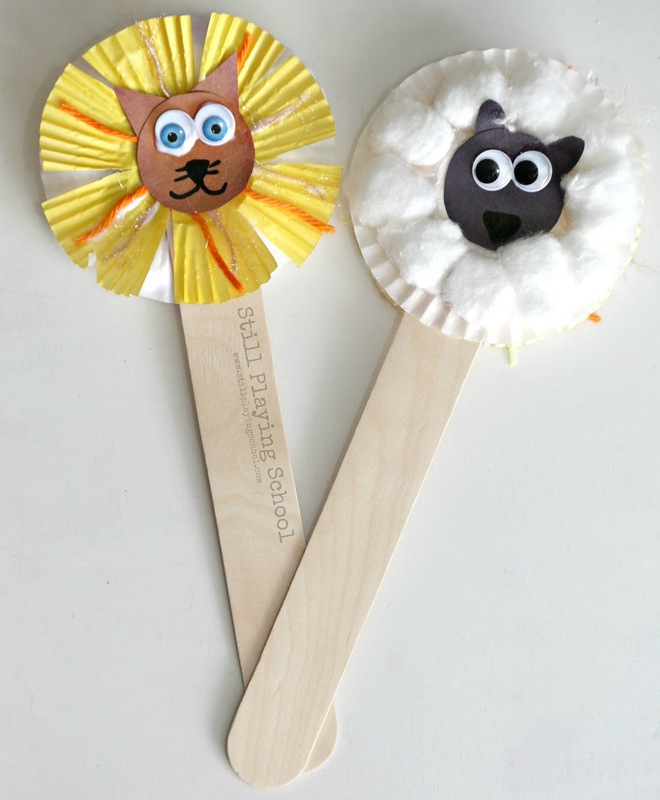 We put our lion and lamb back to back on one craft stick so kids can flip to the correct corresponding weather for each day. Craft Project Ideas' Jumbo Craft Sticks were the perfect size for this project! 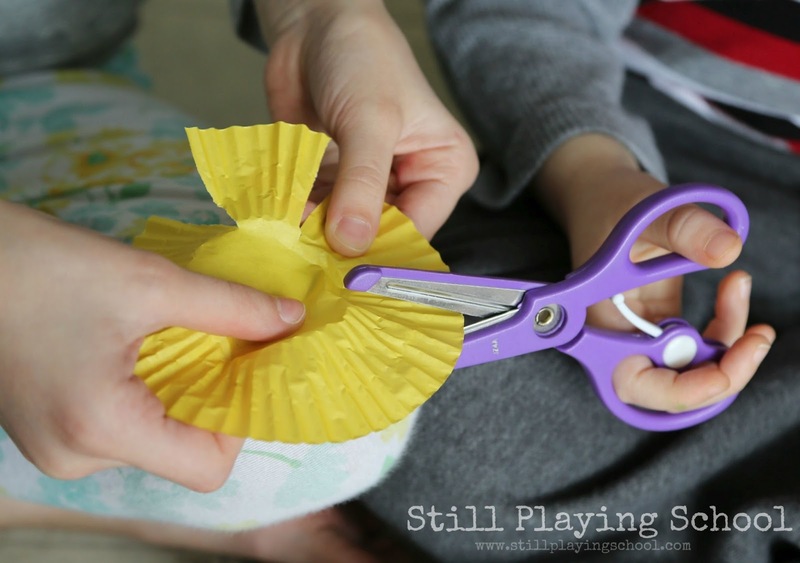 Snip the yellow cupcake liner to create the mane. Glue ears to a round brown face. Add eyes and a nose, mouth, and whiskers. Finally glue on yarn embellishments to make the mane extra ferocious! Glue the ears to the round black face. Add eyes and a mouth. 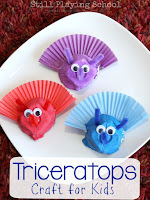 Glue cotton balls all around the outside of the white cupcake liner then glue the lamb's face in the middle. Once dry, glue the lion on one side of the craft stick and the lamb on the other. 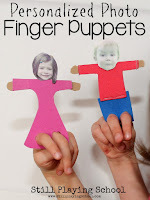 Each day kids can flip their puppet to show you what type of weather we're having in March. "Is it a lion day or a lamb day?" 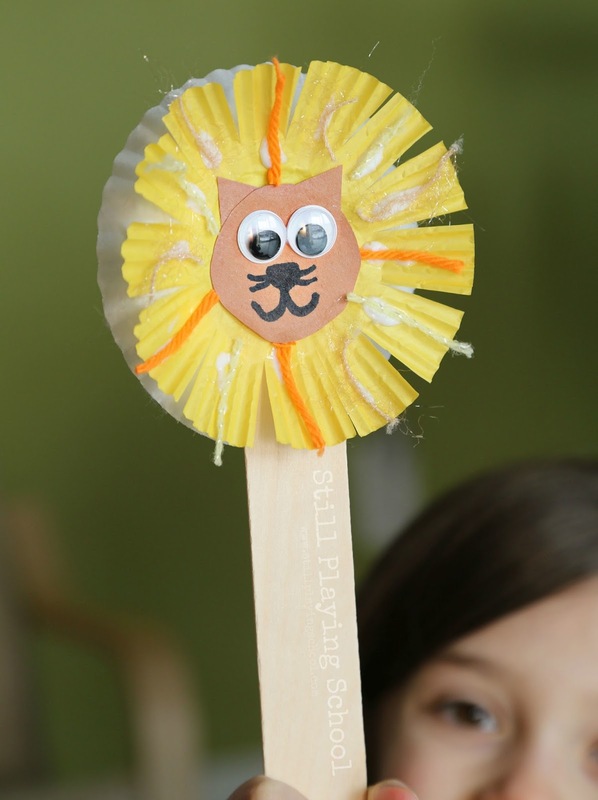 In Like a Lion Ten Frames by Fun-A-Day!